John Blincow has worked as a pilot for 24 years, flying all over the world in such aircraft as the Boeing 757, DC-10, and Boeing 747-400. John Blincow’s experience as a pilot instructor includes United Airlines, Boeing Flight Safety, and as a security instructor for The Transportation Security Administration (TSA). John Blincow graduated with a B.A. from Cal State San Bernardino in 1996. Vice President for Engineering, Orbital Assembly Corp.
Dr. Thomas R. Spilker earned his Ph.D. from Stanford University and then worked for more than 20 years as both a scientist and engineer at the Jet Propulsion Laboratory. Retiring in 2012, he started his own consulting business as a space flight mission architect. Tom worked on NASA’s Voyager, Cassini, and Genesis missions, and is a Co-Investigator for the MIRO instrument on ESA’s Rosetta mission. 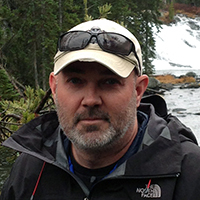 Tim Alatorre has over 20 years experience in habitat design, graphics, web design, programming, and engineering. He obtained a degree in Architecture from Cal Poly, San Luis Obispo. He is a Licensed Architect in California (C-32555) and several other states. Tim is currently CEO of Domum, a leading architecture firm, and serves as a Planning Commissioner and member of a municipal Architectural Review Committee in Northern California. For the last nine years he has also worked as a consulting Subject Matter Expert for the State of California. Chris served in the US Marine Corps for 10 years with honor and pride, and now delivers the same dedication towards producing highly detailed graphic images of sophisticated machines for space construction. Chris has worked as a 3D artist for many popular TV programs and many prestigious government agencies like NASA , Boeing, and more. 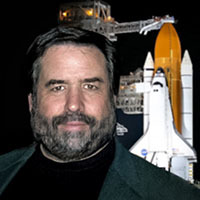 Rod Pyle is a space author, journalist and historian who has authored eleven books on space history, exploration and development for major publishers that have been published in seven languages. He is Editor-at-Large for the National Space Society’s magazine Ad Astra, and his frequent articles have appeared in Space.com, LiveScience, Futurity, Huffington Post and WIRED. He writes for NASA’s Jet Propulsion Laboratory and Caltech, and authored the Apollo Executive Leadership Program for The Conference Board and NASA’s Johnson Space Center. Rod has an MA from Stanford University and a BFA from the Art Center College of Design. Frontier, a realistic space settlement simulation game with unprecedented accuracy and detail. 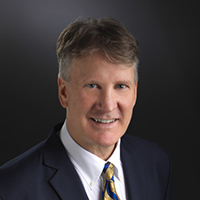 Mr. Wolff received his undergraduate degree from Johns Hopkins University and his Juris Doctorate from New York Law School. His corporate portfolio includes co-founder of Deep Space Industries, an asteroid mining and space utilities company based at NASA Ames Space Center, C.E.O. of D-shape Enterprises, a mega-scale stone and regolith 3D printing technology, and co-C.E.O of Food by Print, a food 3D printing company. Mr. Wolff is an Executive board member at-large for the United Nations Association, serving on the Southern District Division of New York committee. Mr. Wolff is an associate at Anderson & Anderson LLP, a global business and intellectual property law firm specializing in Asian development. Robert Miyake worked at the Jet Propulsion Laboratory for more than 30 years retiring in 2011, as a Lead Thermal System and Systems Engineer in design, test, and flight operations. Robert also was the thermal systems lead for advanced technology development and future missions. He worked on NASA’s missions; SeaSat, TOPEX, MGS, IAE, and, WF/PC and other flight instruments. Jeffery Greenblatt has a Ph.D in chemistry from the University of California, Berkeley. He has spent the past 15 years in energy, sustainability, emerging technology assessment, and integrated system analysis, and has published high-profile studies of renewable energy systems, artificial photosynthesis, autonomous vehicles and greenhouse gas reduction strategies. He has worked in non-profit, tech and government research sectors, including 2.5 years at NASA and 8 years at a U.S. national laboratory. For the past 3 years he has been focusing on Space technology and resource assessment, and in 2016 founded Emerging Futures, LLC, a space technology consultancy. Eric Ward is an experienced Systems Architect who sees growing the space industry as the next step to progressing humanity beyond the planet. He recently received a Master’s degree in Systems Design and Management from MIT, has published multiple technical documents on Systems Architecture and the SpaceIndustry, has been featured in Fast Company, and co-founded the MIT New Space Age Conference. He also holds a Bachelor’s Degree in Mechanical Engineering.